November 2018: please note updated opening hours. 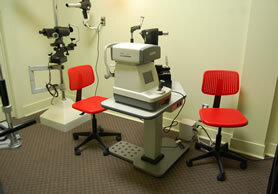 Greenbank Eye Care Optometric Clinic is a comprehensive eye care clinic operating at Greenbank Hunt Club Centre. The Clinic's team includes a fully qualified Opthamalogist who specializes in treating Glaucoma and Cataracts, as well as an Optometrist and an Optician. The Clinic's staff will help you to find the best frames and lenses to fit your needs and your lifestyle, and who can guide you in caring for your eyewear. 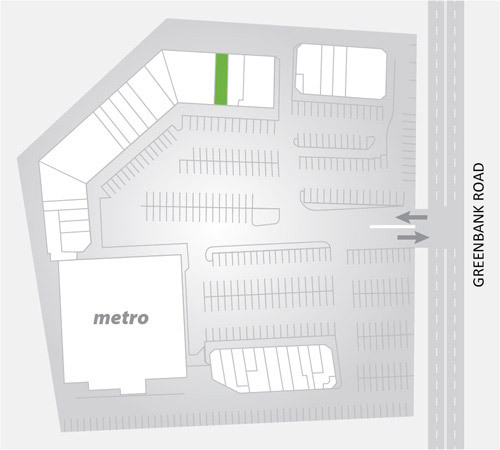 The Clinic caters to all ages and offers a truly family-friendly environment. Good eye health and strong vision are vital throughout our lives: remember to start your children early by taking advantage of annual eye exams covered by OHIP until the age of 20. Over 65s enjoy the same coverage from OHIP. Your eyes take care of you; shouldn't you return the favour? Until we experience problems with our vision or our eyes, many of us don't really appreciate that our eyes are the most complex organ we possess, after our brain. With more than two million working parts, the ability to be used instantly at any time of the day or night, and the capacity to process 36,000 bits of information every hour, our eyes make a contribution to our lives that is almost impossible to measure. Actively taking care of our eyes should be a priority for all of us, and finding a professional eye clinic where qualified and caring practitioners can take part in our eye health is an essential first step. 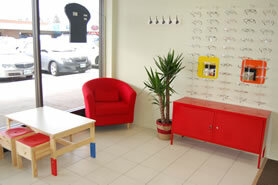 The fresh colours and pleasing layout of Greenbank Eye Care Optometric Clinic's new clinic at Greenbank Hunt Club Centre immediately send a positive signal to the eyes. That first impression is a wonderful place to start, but it's the people who work at Greenbank Eye Care Optometric Clinic who really make a difference. The Greenbank Eye Care Optometric Clinic clinic offers a deeply experienced and caring team which together add great value to every patient's experience. 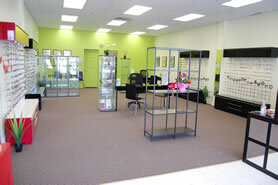 This warm and professional team offers the full range of eye care services - from annual eye exams, to selecting and fitting customized frames and contact lenses, to assisting with eyewear maintenance - in English, French, Spanish and Russian. In addition to taking our eyes for granted, many of us just don't spot when we may need assistance. Clinic staff report that it isn't unusual for new patients to come in, explaining that they don't believe they have a problem but have come in at the urging of a spouse or family member, only to discover that they badly need reading glasses, as is the case with Presbyopia. Presbyopia - the ability to focus on objects up close - is a naturally occurring part of the aging process and happens to everyone eventually. This in combination with 'computer syndrome' - tired, sore eyes and blurred vision after working on the computer for long stretches of time - is responsible for prompting most middle-aged patients to have an eye exam. For children, Ametropia is the most common condition bringing them into the eye clinic. Without 20/20 vision, more often than not vision is uneven between the two eyes and this difference can lead to vision problems, including lazy eyes, which can be resolved with corrective lenses. For older patients, glaucoma, cataracts and macular degeneration are typical age-related eye problems that will cause symptoms resulting in a visit to the eye clinic. Careful following by the Greenbank Eye Care Optometric Clinic optometrical team can deal with problems as soon as they arise and help to avoid unnecessary worsening of symptoms in many instances. In the internet age it's now possible to purchase almost anything online. Greenbank Eye Care Optometric Clinic's owners are concerned that this trend has extended to contact lenses. More and more people requiring corrective lenses choose contacts, particularly as advances in the technology have made it possible to wear them longer in comfort. An increasing number of people - particularly teens - are wearing coloured lenses as a fashion item, and are often unaware of the dangers of incorrect usage of contact lenses. For your eye health, it is vital that contacts are sized and fitted properly, not worn more than ten hours per day (meaning that backup glasses are required for anyone requiring corrective lenses), and that proper cleaning and lens care is followed. Making use of the professional services offered by a trusted eye clinic just makes sense when dealing with delicate eye tissue and function. When we remind ourselves that 85 per cent of our human 'knowledge' comes from our eyes, making time to see a trusted eyecare professional on a regular basis just makes sense. If you are overdue in caring for your eyes or looking for the best clinic to visit, consider Greenbank Eye Care Optometric Clinic at Greenbank Hunt Club Centre.